From the accumulation of years of experience and the latest in the scientific understanding of the human body, heart, and brain, the PTA Global team has developed one of the most holistic and practical corrective exercise systems designed to truly personalize your training business. 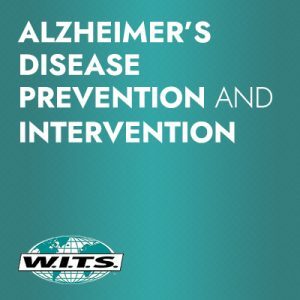 This will be one of the most enjoyable experiences you will have in an educational course as you are introduced to a whole new approach to viewing your client through the holistic lens of emotional, lifestyle and physical observation. Develop programs to meet them where they need to be met TODAY! 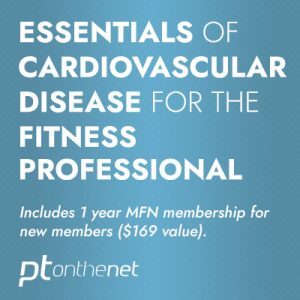 MedFit Network members receive 50% off the price of this credential course. 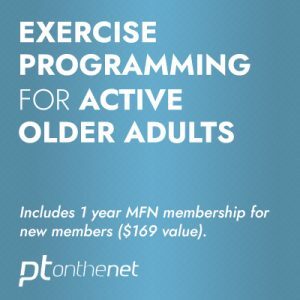 You have an active MedFit Network account! Use code MFNPTAG50 on the PTA Global website during checkout. Functional Biomechanics – applying the concepts of Bio-Tensegrity & Exercise Biomechanics. Advanced Functional Anatomy – exploring the practical functionality of myofascial lines. Daily Readiness Observation – a holistic observation system looking at your clients’ stress levels from a Lifestyle, Physical, Mental & Emotional lens. MOVE Appraisal – a 3-dimensional movement observation with corrective exercise strategies. Applied Multisensory Communication – how to see, hear and move your client. Up to 10 CEC’s from PTA Global, ACE, NASM , and AFAA. Unlimited access to online education. Downloadable forms so you can put your new skills to work immediately. Unlimited access to hundreds of pre-made programs based on Goals, Style and Level of training. Online access to the final exam. 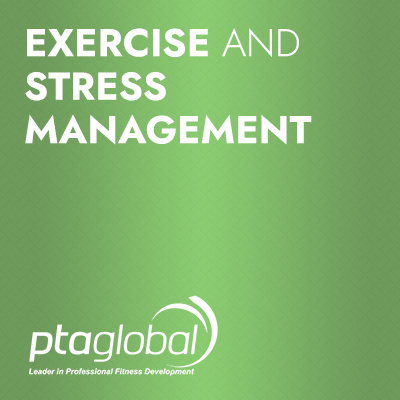 Note: Successful completion of the PTA Global Certification or Behavior Change in Exercise Credential is suggested.